Despite European regulations to prevent electronic waste from being dumped in Africa and Asia, a hidden flow of end-of-life electronics has been threatening to drown West Africa. Consumers International has been calling for tighter government monitoring and greater corporate responsibility to prevent the effective dumping of toxic electronics on the developing world. 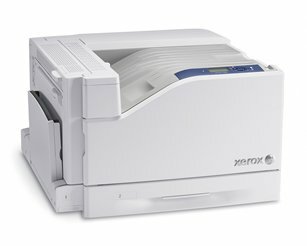 Xerox has introduced a new colour printer that brings professional colour to offices of any size, with the Phaser 7500 printer designed for office environments that require on-demand, high-volume colour printing. Reichle and De-Massari (R&M) has been named the network infrastructure provider for the Toyota Egypt project, to deliver a robust end to end cabling solution deploying R&M's innovative enterprise cabling portfolio. A report on Performance Enhancing Proxies has been issued by the ETSI Broadband Satellite Multimedia Working Group. The testing consultancy TRaC has unveiled its expanded flagship DSL test facility during an official opening ceremony at its UK headquarters.